Every so often, we come across a news story that’s loosely related to hot tubs, and which doesn’t involve some tragedy. We like happy stories, like ones about hot tubs filled with wine, cooking sous-vide in the water, or even about the therapeutic benefits. 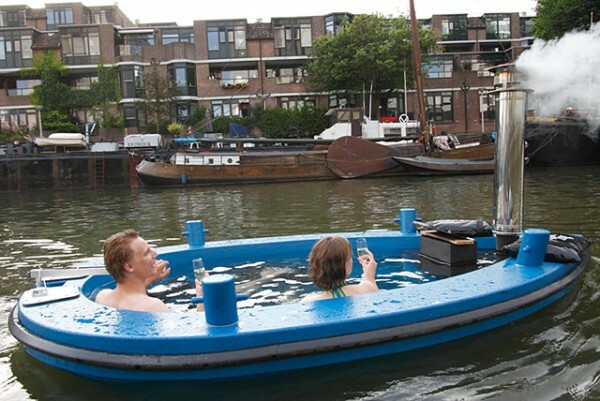 So when we learned of a hot tub tugboat created by some crazy Dutch guy, we were intrigued. At $21,600 for the fully loaded version, it’s not cheap. And it doesn’t appear to be a boat really – more like a floating hot tub – though you can actually steer this thing using an attached outboard motor or an inboard one. But perhaps it would be better if it got around by steam power, which would be pretty efficient if you think about it. It does in fact come with a wood stove, which apparently keeps the water warm, and adds to the overall ambiance. It appears to be fairly well built, and if I had a yacht to haul this thing around, it would be one of the first toys I’d add to my collection. But I don’t own a yacht, and probably won’t pony up the $21k needed anytime soon.Although, it’s reported to be available from only $11k for a barebones version with no engine. 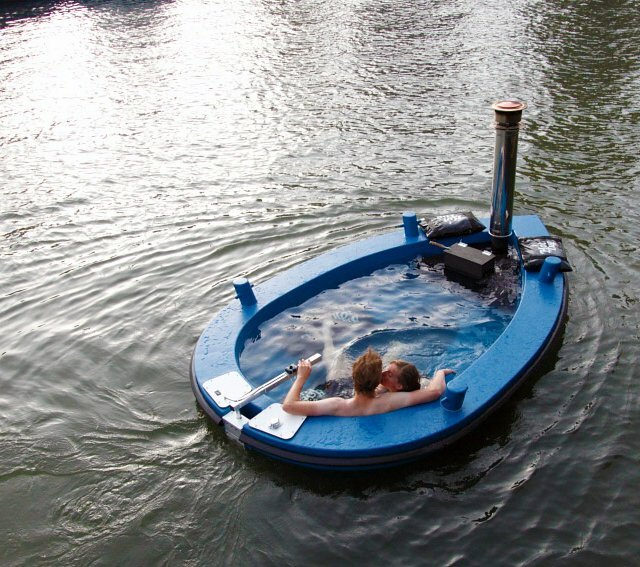 Not sure what the use of that would be, since it would effectively be a really expensive floating tub. The boat’s designer is quite confident about his creation, and stands by its design. “I can tell you, it’s unbelievably stable. You can stand on the side, and then jump in the water, but with 2,000 liters of water in it, it’s quite heavy and stable. After being in the cold water, you get back into the 38 degrees heat, your whole body starts to shiver,” Karstanje said. This entry was posted in blog, Fun, Hot Tub Cover Articles. Bookmark the permalink.